films | MSRcast and Metal Geeks Unite! 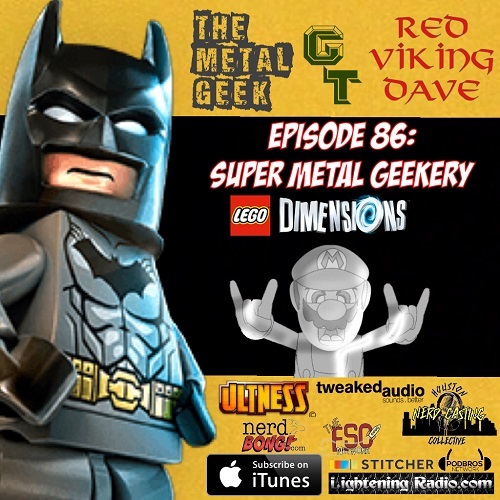 The Metal Geeks crew discuss a wide range of topics including Destiny, Disney Infinity, Lego Dimensions, the Monkees, our Summer movie Wrap up, what Fall TV shows we have been watching including our thoughts of Gotham, the Muppets, the Goldbergs, and more. We also dive headfirst into Heavy Metal elitism, and our George Hates Metal this week is supergroup Metal Allegiance! Does George hate it? Tune in to find out! Join us on our website at www.metalgeeks.net to keep up with all the geekery. Follow us on twitter, @metalgeeks, and @msrcast. You can now find us on Instagram, @metalgeeks. Find us on Facebook/MetalGeeks. Subscribe to Metal Geeks Podcast on iTunes, and please leave a 5-star review on itunes and Stitcher and a like us whilst you are there. Don’t forget to pay a visit to all of our affiliates including Podbros, Houston Nerd-Casting Collective, Ultness.com, Lightening Radio, Nerdbong.com and ESOpodcast.com, and www.metalgeeks.net, your home for all of our Metal Geeks Shenanigans! Catch you on the next episode, and Keep It Geeky! 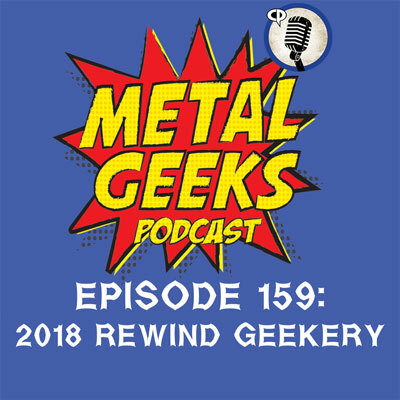 In this episode of the Metal Geeks podcast, Cary the Metal Geek, George and Dave convene to discuss some of their favorite news and trailer discussion from the 2015 San Diego Comic-Con including Batman V. Superman, the Walking Dead, Deadpool, and much more. Did we mention Star Wars??? 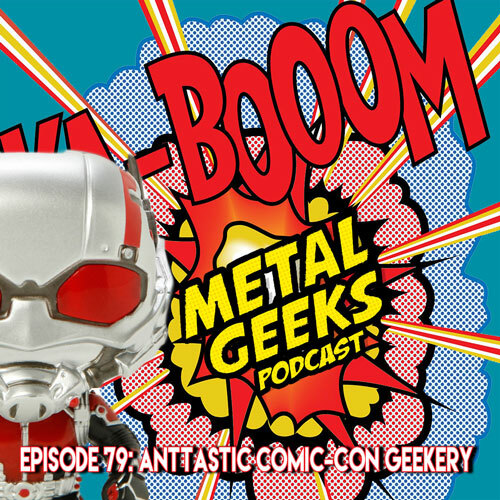 Cary and George also discuss the brand new Ant-man movie right after coming out of the theater! We also wax poetic on the future of Disney’s Hollywood Studios and discuss the brands new Shanghai Disneyland announcements. We also have some geeky discussions on why Metal has gotten old, bald and fat according to some people, why wearing a bullet belt will get you arrested and this week in George Hates Metal: Baroness! Join in the fun and keep it geeky!